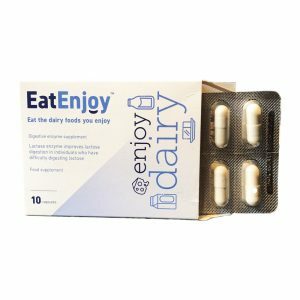 EatEnjoy Dairy helps support the healthy digestion of lactose protein to relieve the feelings of digestive discomfort dairy foods can cause. 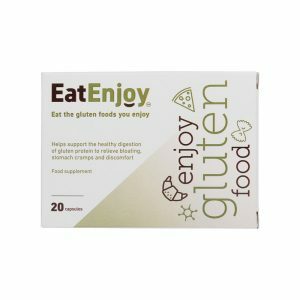 EatEnjoy Gluten helps support the healthy digestion of gluten protein to relieve bloating, stomach cramps and discomfort. Wouldn’t it be great to eat dairy or gluten-rich foods without worrying? 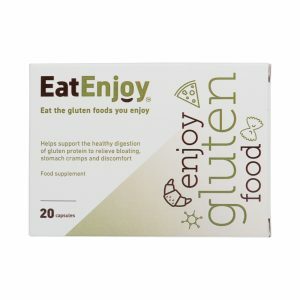 Now, thanks to EatEnjoy, you can! 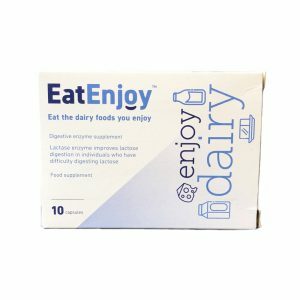 If the presence of lactose stops you enjoying food and drink, whether you suffer from lactose allergy, intolerance or symptoms of discomfort, EatEnjoy Dairy can help, and if the presence of gluten stops you enjoying food, whether you suffer from gluten allergy, intolerance or symptoms of discomfort, EatEnjoy Gluten can help. 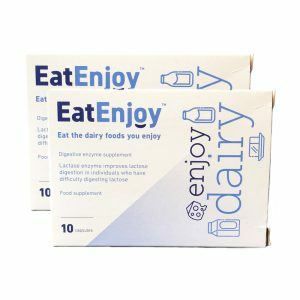 EatEnjoy Dairy is a special and unique blend of enzymes which support and promotes the healthy digestion of lactose protein. 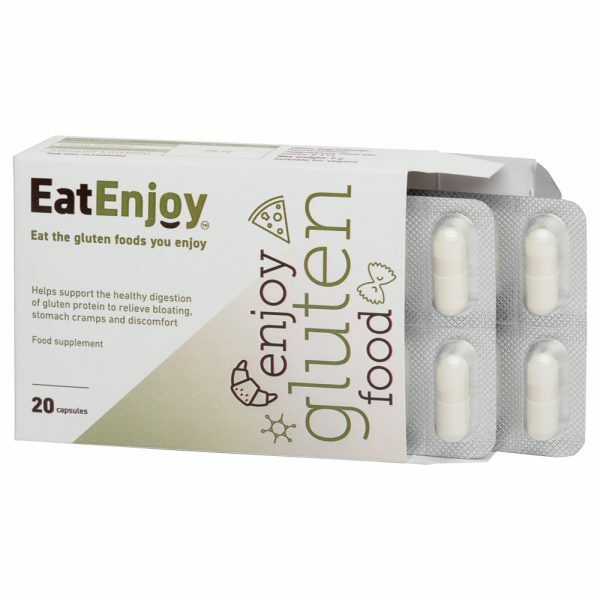 EatEnjoy Gluten is a special and unique blend of enzymes which support and promote the healthy digestion of gluten proteins. 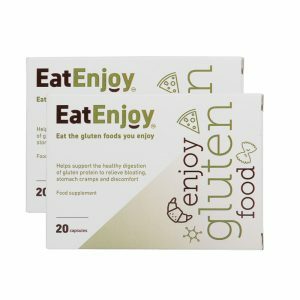 Hidden dairy or gluten? 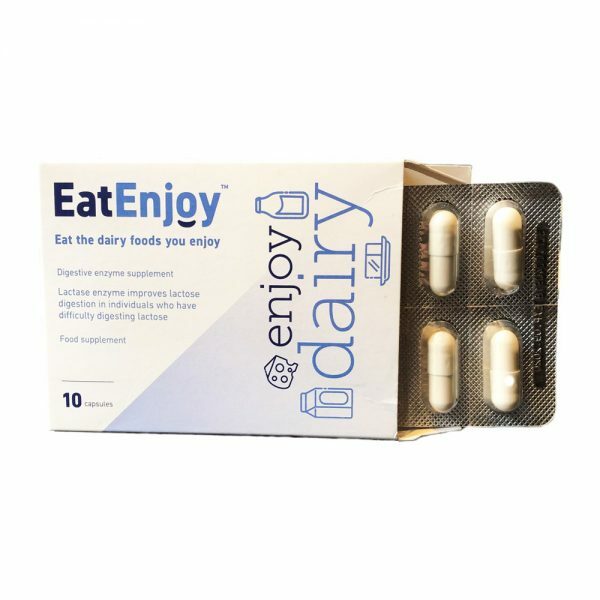 Don’t worry… If you fancy a takeaway or are eating out but are worried about the presence of hidden dairy or gluten, now you can relax and enjoy every meal with EatEnjoy capsules. Simply take a single EatEnjoy capsule before eating a meal containing dairy or gluten foods, then Eat and Enjoy! It is safe to take both EatEnjoy Dairy and EatEnjoy Gluten capsules together to help if you have issue with both dairy and gluten intolerance. 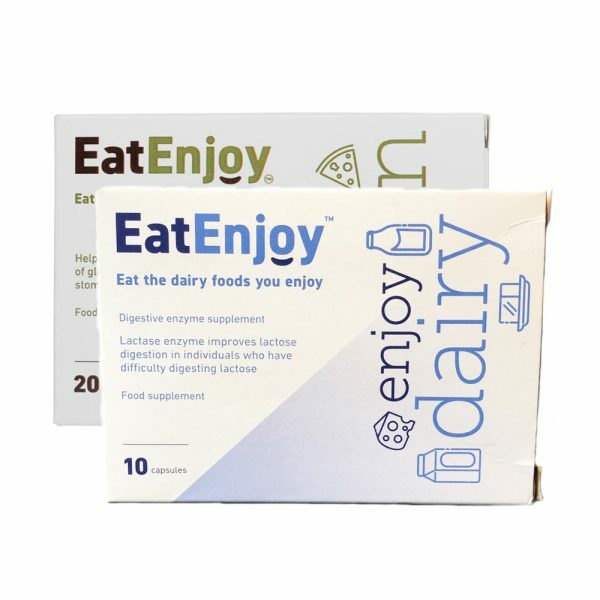 The EatEnjoy Dairy product is not intended to diagnose, treat, cure or prevent hypolactasia (lactase non persistence or lactase deficiency) or any other digestive disorder or disease, nor is it a substitute for lactose-free food. It is not recommended for children, people hypersensitive to any of the ingredients present in the product, as well as pregnant women and babies. 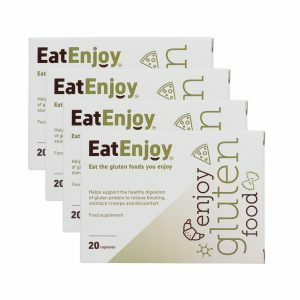 The EatEnjoy Gluten product is not intended to diagnose, treat, cure or prevent coeliac disease or any other digestive disorder, nor is it a substitute for gluten-free food. It is not recommended for children, people hypersensitive to any of the ingredients present in the product, as well as pregnant women and babies.